Set sail for the ultimate New Years Eve deck party at sea on Royal Caribbean's Vision of the Seas! 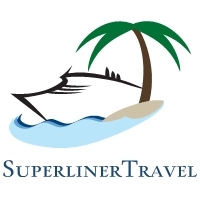 Enjoy the beautiful ports of Key West, Nassau and Coco Cay, Royal Caribbean's private island paradise in the Bahamas. Spend your sea days chilling out in the eight pools and whirlpools onboard. Grab an ice cream cone at Ben & Jerry’s or freshly pressed panini at Park Café. And after a day of Bahamian beaches, return to stunning Broadway-style shows and delectable dining at a variety of onboard restaurants. 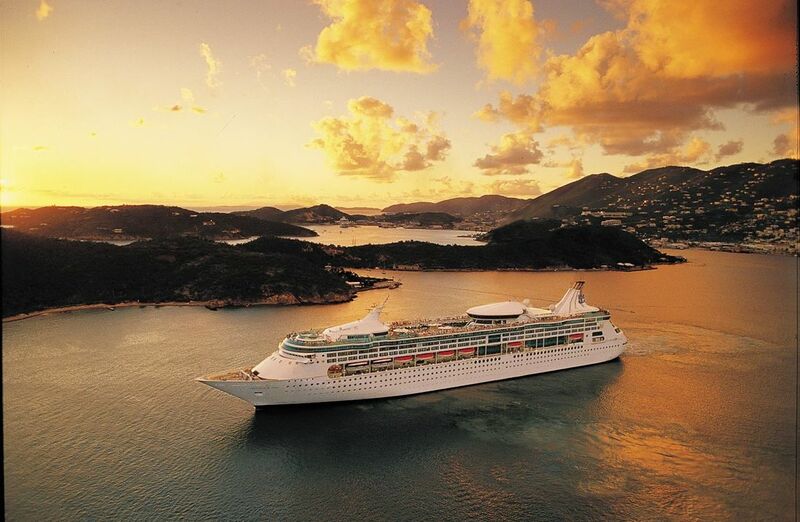 With so much to do onboard, you’ll never lose sight of amazing on Vision of the Seas! Discover many ways to relax or go on a unique adventure in CocoCay. One of the private island's most popular options takes you down the coast aboard a waverunner. Fly past Great Stirrup Cay Lighthouse, Slaughter Harbor and Starfish Alley. It’s a thrilling ride in the Bahamas that’s worth taking. 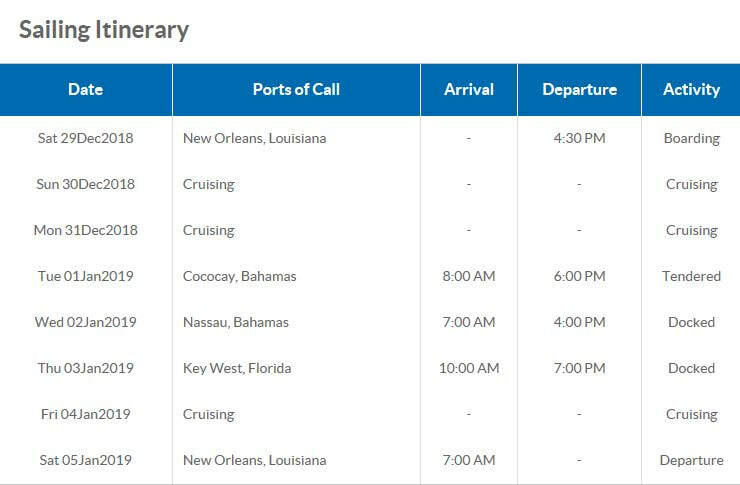 This is sailing is also available on other dates from December 2018 to March 2019. ​Please contact us for additional information.